(CBS/AP) STOCKTON, Calif. - Officials in Stockton said Tuesday that mediation with creditors has failed, meaning the city is set to become America's largest by population ever to file for bankruptcy. City Manager Bob Deis said officials were unable to reach an agreement to restructure hundreds of millions of dollars of debt under a new state law designed to help municipalities avoid bankruptcy. The City Council voted Tuesday evening to approve a special bankruptcy budget to plug next year's anticipated $26 million deficit. The budget will suspend debt payments, reduce payments for retiree medical benefits and increase revenue through code enforcement and parking citations, among other steps. The proposed budget includes no major service reductions, Deis said. City lawyers would have to file for Chapter 9 protection in court by Friday. No easy answer for broke Stockton, Calif.
"This is the most difficult and heart-wrenching decision that we have ever been faced with," Mayor Ann Johnston said in a statement. "We must take this action to protect the health, safety and welfare of the entire City and begin the recovery process." Monday marked an extended deadline for city leaders to negotiate with creditors. The legislation designates a period of 60 days for negotiations with an optional 30-day extension, a city official said in a statement. "Unfortunately we have no comprehensive set of agreements with our creditors that would eliminate the deficit and avoid insolvency," Deis said at a City Council meeting. He said, however, that the city was still negotiating with some creditors and could reach deals with as many as one-third of them. "We think Chapter 9 protection is the only choice left. If we get any agreements, those will be honored in Chapter 9," Deis said. "If we had other choices that would fill the millions of dollars of deficit, we'd be doing that," Mayor Ann Johnston said. "The reality is the gap is so big and so broad, we have to do something this drastic. This is not what we wanted to do but this is what we have a responsibility to do." The river port city of 290,000 in Central California has seen its property taxes and other revenues decline, while expensive investments and generous retiree benefits drained city coffers. They eliminated one-fourth of the city's police officers, one-third of the fire staff, and 40 percent of all other employees. They also cut wages and medical benefits. "The whole purpose of filing Chapter 9 is to avoid an uncontrolled chaotic situation," he said. "Bankruptcy provides the equivalent of a pause button. It retains services and provides structure so you don't have a bunch of lawsuits." In a standing-room only chambers Tuesday, former city employees told council members about their life-threatening medical conditions and said benefit cuts meant they would effectively lose their health insurance. "For me, bankruptcy might as well be a life sentence," said Gary Jones, a retiree who used to be a police officer in Stockton and said he was diagnosed with a brain tumor. Other residents complained about plummeting property values, and recurring break-ins and robberies. "The average citizen will not put up with this. Their home prices have plummeted, they have no jobs, a lot of people are getting fed up so that they have to resort to crime." said Gregory Pitsch, a 22-year-old unemployed resident who made an unsuccessful run for mayor. "I'm asking you to make the right decision, not destroy the property values in this city, which bankruptcy will do." But city officials say Stockton has run out of options. In recent years, thousands of new homes mushroomed in the city about 80 miles east of San Francisco, part of a suburban housing boom that attracted buyers from the Bay Area and beyond. In addition, expensive city investments - a promenade, sports arena and hotel - failed to produce economic benefits. The unemployment rate has doubled in Stockton over the past decade and now hovers around 16 percent. One-fifth of residents live below the poverty line, and the city has twice topped Forbes magazine's list of "America's most miserable cities." Under a bankruptcy filing, officials would retain power over day-to-day city operations and staffing, but a judge would take over all decisions concerning the city's debts, said Robert Benedetti, professor of political science at the University of the Pacific in Stockton. "One of the reasons a city might want to go the bankruptcy route is that they don't want a situation where they have to pay out debts and have to close the police or fire department," Benedetti said. "Filing for Chapter 9 means you're asking the court to protect you against lawsuits from people who hold your debt." Stockton's bankruptcy would make it the largest city by population to file for Chapter 9 protection, according to Jim Spiotto, a Chicago bankruptcy lawyer who tracks such cases. He said Bridgeport, Conn., was the largest city to file for bankruptcy, which it did in 1991, followed by Vallejo, Calif., which filed in 2008. Stockton was the first city to test a new state mediation law, which is less than 6 months old. The city spent $3 million on mediation with creditors that included Wells Fargo & Co., the California Public Employees' Retirement System, labor groups, and major bondholders. 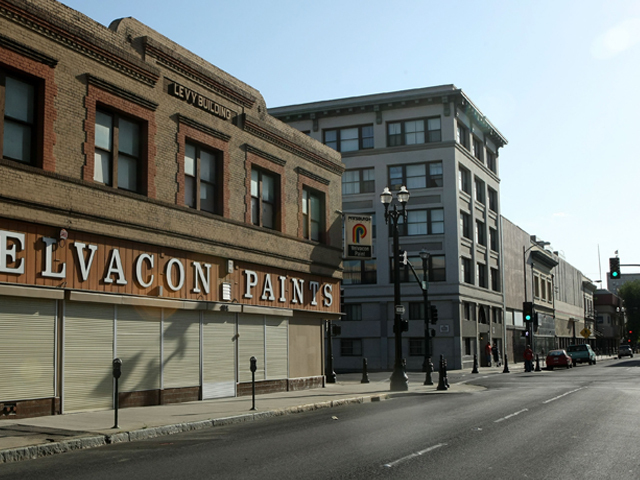 Stockton officials have said that even with a bankruptcy, they are optimistic. They point to Vallejo, which emerged from bankruptcy last year. Johnston said Tuesday night that the city would eventually come out of the ordeal with a brighter future. "We will survive," she said. "We will manage to get through this. It will be painful for us, but we will come out stronger."